This is the ultimate collection of stones for love! Rose Quartz represents love, beauty, peacefulness, forgiving, love, self-love and emotional balance! Rose Quartz works with the Heart Chakra. It is a soft, gentle, soothing stone that warms the heart center. Its value as a nurturing friend cannot be overstated. Pink Agate This stone is a promoter of love. Pink agate is the (tertiary blend) of red and white. Pink is the color or compassion. Pink is associated with the Heart Chakra. It represent the soothing love and purest joy of our emotions! 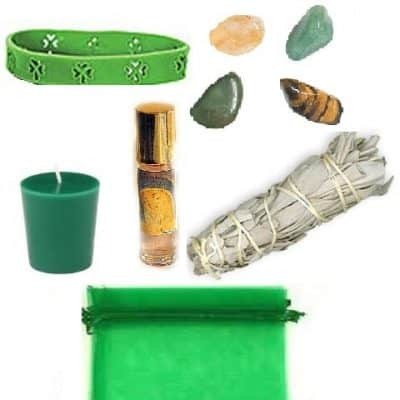 Aventurine brings joy, balance, clarity, Universal love, truth and prosperity are traits we can gain by working with Aventurine. It’s a particularly effective crystal for emotional healing and is especially helpful when placed on the Heart center during Chakra balancing. Copper is often known as the “love metal” as it helps us open up to love energies and physically helps with sexual imbalances. Cooper is an excellent energy conductor! It sends and amplifies thoughts, healing energy, and electrical energy into wearer’s energy field. Garnet is most famous for balancing our emotional states. Garnet is a stone of passion. It is given as a gift of love’s attraction, a gift of estranged love or a gift of quick return. This stone symbolizes faith, love, devotion and trust. Jade symbolizes the Five Virtues of Humanity : wisdom, justice, compassion, modesty and courage. 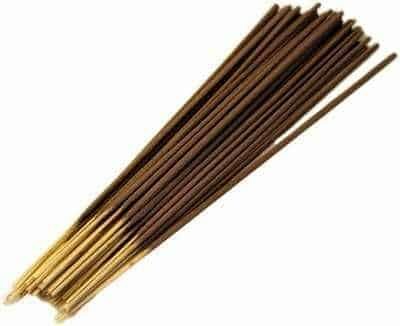 Therefore, it is used for emotional balance, stamina, love, fidelity, humility, generosity, peace, harmony, courage, wisdom, justice, mercy. Unakite can be very helpful in the steady release of feelings long held in. This stone gives additional support to one’s heart and balance the functions of these internal body processes. It deepens self-esteem and self-awareness.
. 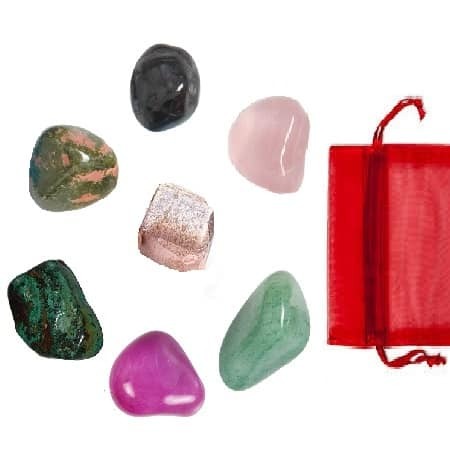 This kit includes all seven (7) large stones, approximately “1 – 1 1/4” inches in size, crystal love grids for your stones, love meditation, the metaphysical properties of the stones and how to use them. This amazing set is something you can learn from, over and over again. We also include an organza bag for keeping your precious stones. 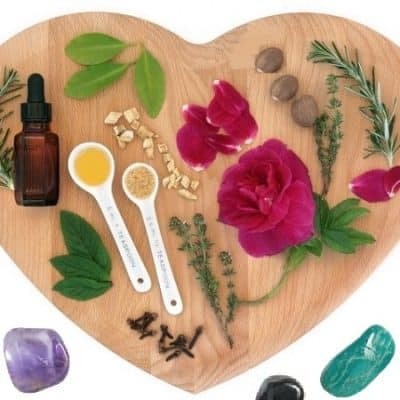 This kit includes all seven (7) large stones, approximately “1 – 1 1/4” inches in size, crystal love grids for your stones, love meditation, the metaphysical properties of the stones and how to use them. This amazing set is something you can learn from, over and over again. We also include an organza bag for keeping your precious stones.